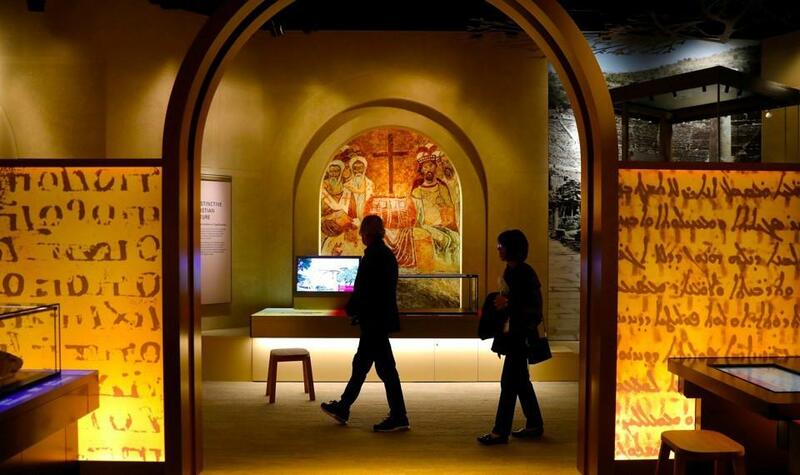 In the Museum of the Bible, a new state-of-the-art institution dedicated to the world’s bestselling book, you can stroll through a recreation of first-century Nazareth, take a break in the biblical garden plotted with sage and hyssop, have a falafel at Manna restaurant, or grab a quick snack in the Milk and Honey café. After independent analysis, the museum said on Monday that five of its famed Dead Sea Scrolls fragments were fake. They will be pulled from their exhibit. Other fragments will undergo further study.